It’s so simple .. just place chicken breasts in varoma dish for 25 mins, varoma temp, speed 2. ( with a litre of water in TM bowl). Pop back into TM bowl and shred 4 sec, reverse speed 4. 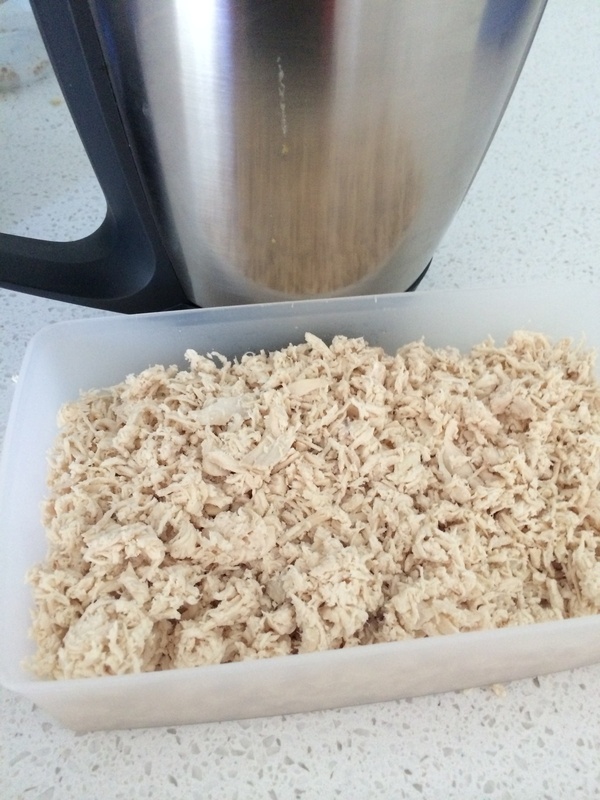 Enough shredded chicken for sandwiches and salads during the week and can freeze in smaller bags to take out when needed. The recipe shredded for 7 seconds, comments below the recipe suggested 4 seconds long enough which I will follow next time to have a chunkier spread. 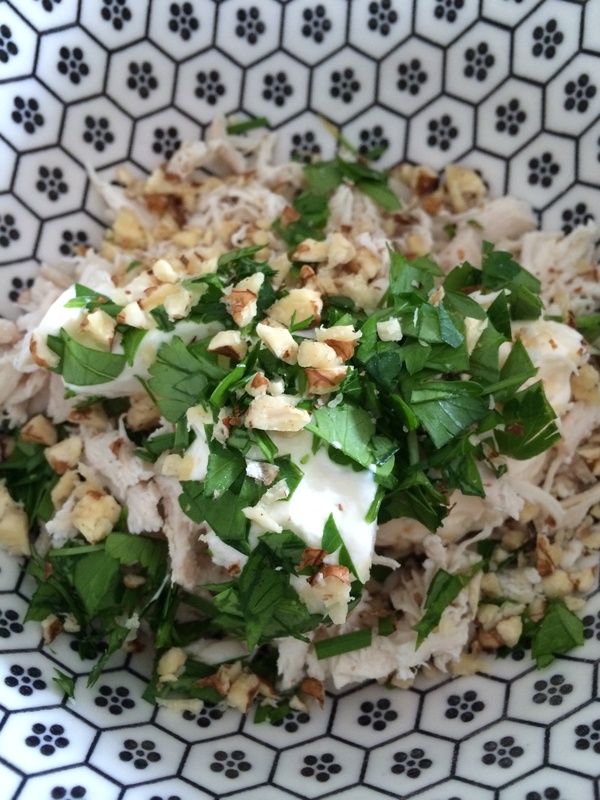 Now it’s so easy to mix the shredded chicken with a little mayo/sour cream and herbs for chicken sandwiches. Just had as a dip after school on crackers with some chopped nuts, cucumber, and celery all chopped in the thermomix. Perfect if you don’t want to get your hands dirty!